Richard Palethorpe Culley was one of the most well-known and respected Welsh philanthropists and entrepreneurs of his time. 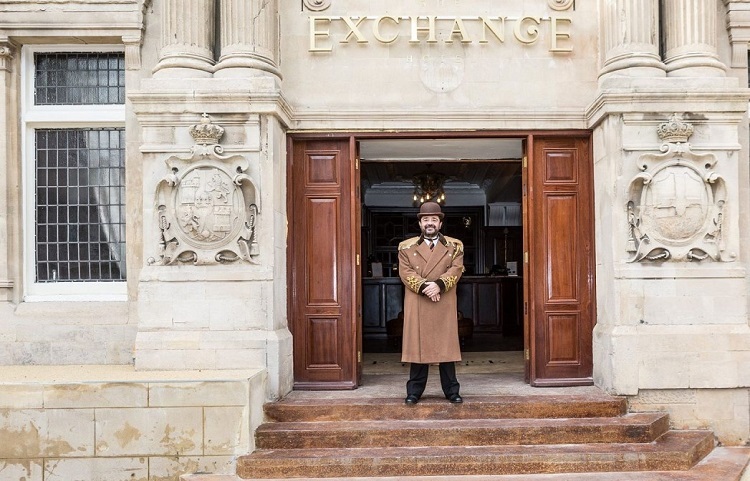 Following an extensive £42M investment of the former Coal Exchange by Signature Living – RP Culley will once again return to the Exchange Hotel 127 years later where it all first began. On Thursday 29th November 2018 Signature Living and The Exchange Hotel Cardiff, will officially launch its brand-new RP Culley & Co restaurant in tribute to Richard Palethorpe Culley. Built around a theme of the ‘Have’s’ & ‘Have Not’s’ the restaurant pays homage to the history of the Welsh coal miners’ story and the history of the Coal Exchange, where the price of the world’s coal was set and where the first £1M cheque was signed. The ‘Have’s’ & ‘Have Not’s’ illustrates the great extremes of Welsh coal mining history, the poverty contrasted against the opulence of the Exchange building where coal was traded as black gold. Curated by renowned Welsh Head Chef Keith Clash, RP Culley & Co boasts an exciting menu of some of the finest locally sourced Welsh produce and ingredients. Th restaurant will serve its own range of RP Culley & Co wines and craft beers guests can enjoy anything from a unique cocktail to a spirit luge.